It's all about the drive in Mono County. U.S. 395 is one of America's most beautiful roads. 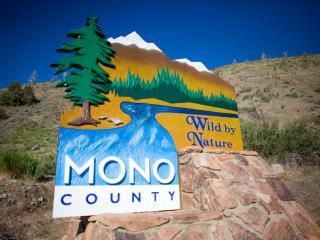 Many, many roads criss-cross Mono County taking motorists to fascinating or breathtaking places. No matter how many times you drive Highway 395 through Mono County, California, the scenery inspires awe. But have you ever wondered what lies beyond the highway? Little traveled roads that bring you deep into the county&apos;s natural wonders and colorful history.Motor Touring in the Eastern Sierra, Scenic Backroad Tours is your guide to these seldom seen routes. To request a FREE copy of Motor Touring in the Eastern Sierra, Scenic Backroad Tours, click here. While traveling along Highway 395 in Mono County, look for the Eastern Sierra Scenic Byway symbols, which identify scenic turnouts and interpretive displays. For a map and route descriptions of the Eastern Sierra Scenic By-way. click here. Make your 395 Roadtrip even more fascinating with an audio "traveling companion" that will tell you what you are seeing on your journey, as well as the local historical and cultural stories of the region. Click here to download the Roadside Heritage CD&apos;s free of charge!